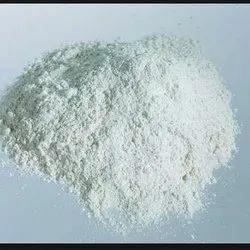 Providing you the best range of ammonium bicarbonate (abc), benzoic acid food grade (ganesh ), biocel sp85 (santobrite) / sodium pentacholophanate, calcium hydroxide, citric acid mono and cocoa powder with effective & timely delivery. Ammonium bicarbonate is used in the food industry as a raising agent for flat baked goods, such as cookies and crackers. 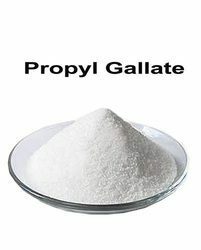 Sodium and butyl benzonates , plasticizers , benzoyl chloride , alkyd resins , food preservative , seasoning tobacco, flavors , perfumes , dentifrices , standard in analytical chemistry , antifungal agent . .sg is the Internet country code top-level domain (ccTLD) for Singapore. It is administered by the Singapore Network Information Centre.In 2011, two new internationalized country code top-level domains were registered for Singapore, intended for domain names in the local languages. One significant application of calcium hydroxide is as a flocculant, in water and sewage treatment. It forms a fluffy charged solid that aids in the removal of smaller particles from water, resulting in a clearer product. This application is enabled by the low cost and low toxicity of calcium hydroxide. It is also used in fresh water treatment for raising the pH of the water so that pipes will not corrode where the base water is acidic, because it is self-regulating and does not raise the pH too much. Prepration of citrates , flavoring extracts , confections , soft drinks , effervescent salts , acidifies , dispersing agent , medicines , acidulant and antioxidant in foods , sequestering agent , water conditioning agent and detergent builder ,cleaning and polishing stainless steel and others metals,alkyd resins,mordant, removal of sulfur dioxide from smelter waste gasses,abscission of citrus fruit in harvesting,cultured dairy products. 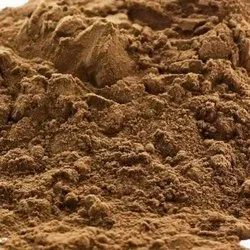 Dry cocoa solids are the components of cocoa beans remaining after cocoa butter, the fat component, is extracted from chocolate liquorCocoa powder contains flavanol antioxidants, amounts of which are reduced if the cocoa is subjected to acid-reducing alkalization. Health benefits have been attributed to cocoa flavonoids. An Iodophor is a preparation containing iodine complexed with a solubilizing agent, such as a surfactant or povidone (forming povidone-iodine). The result is a water-soluble material that releases free iodine when in solution. As a food additive, sodium benzoate has the E number E211. It is bacteriostatic and fungistatic under acidic conditions. It is most widely used in acidic foods such as salad dressings(vinegar), carbonated drinks (carbonic acid), jams and fruit juices (citric acid), pickles (vinegar), and condiments. SODIUM DI ACETATE is a salt of acetic acid. It is a colorless solid that is used in seasonings and as an antimicrobial agent. 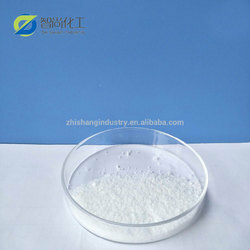 It is used in the water treatment industry to quench chlorine residual . It is used to improve the flow of dry products, and also to absorb water. 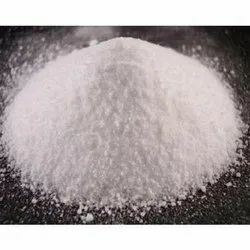 Sodium aluminosilicate (E554) is a synthetic mixture of sodium, aluminum and silicon oxides which is used as an anti caking agent. Benzoyl peroxide is colourless, crystalline solid having a faint odour of benzaldehyde. It is insoluble in water, slightly soluble in alcohol, and soluble in chloroform and ether. One g dissolves in 40 ml of carbon disulfide. It melts between 103 °C and 106 °C with decomposition. Benzoyl peroxide, especially in the dryform, is a dangerous, highly reactive, oxidizing material and has been known to explode spontaneously. It is used as a bleaching agent for certain foods, an oxidizing agent, a polymerizing initiator in the manufacture of plastics, a curing agent for silicone rubber, a constituent of ointments for skin disorders, and an ingredient in variousindustrial processes.Benzoyl peroxide has a long history of use in the food industry as a bleaching agent added for flour, whey, and milk for cheese making. 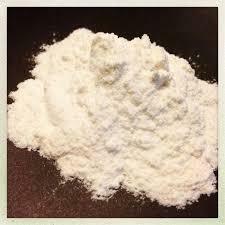 A premix of 32% benzoyl peroxide and 68% cornstarch is used in bleaching flour. 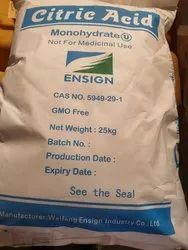 The maximum amount used as a flour bleaching agent is 50 mg/kg. 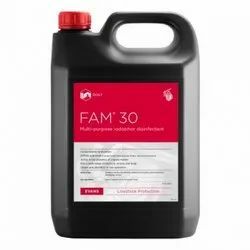 It is used in a wide variety of applications in the food industry as a thickening, gelling, stabilizing and suspending agent in water and milk systems. 7. It occurs naturally in citrus fruits. In biochemistry, it is an intermediate in the citric acid cycle, which occurs in the metabolism of all aerobic organisms. Benzoyl peroxide belongs to a family of peroxides. It consists of two benzoyl groups bridged by peroxide link.Benzoyl peroxide has low solubility in water and ethanol. 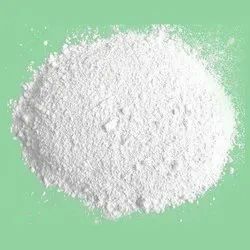 Potassium bicarbonate (also known as potassium hydrogen carbonate or potassium acid carbonate) is the inorganic compoundwith the chemical formula KHCO3. It is a white solid. Potassium sorbate is the potassium salt of sorbic acid, chemical formula CH3CH=CH−CH=CH−CO2K. It is a white salt that is very soluble in water (58.2% at 20 °C). It is primarily used as a food preservative (E number 202). Sodium bicarbonate (IUPAC name: sodium hydrogen carbonate), commonly known as baking soda, is a chemical compound with the formula NaHCO3. 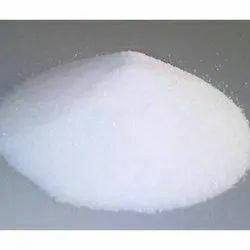 Triammonium citrate is a chemical compound whose molecular formula is C6H17N3O7.an indirect food additive for use only as a component of adhesives", and as a "substance added directly to human food affirmed as generally recognized as safe. Whey protein is a mixture of proteins isolated from whey, the liquid material created as a by-product of cheese production. The proteins consist of α-lactalbumin, β-lactoglobulin, serum albumin and immunoglobulins. 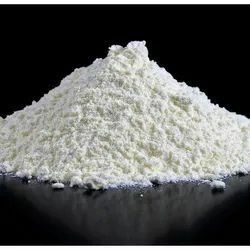 Xanthan Gum is a microbial polysaccharide derived from the bacterium Xanthomonas campestris that is typically found in commercial salad dressings, ice creams, and other suspensions or liquid products that require an emulsifier. 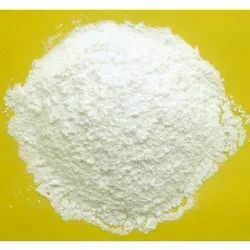 Calcium carbonate is a chemical compound with the formula CaCO3. It is a common substance found in rocks as the minerals calciteand aragonite (most notably as limestone, which is a type of sedimentary rock consisting mainly of calcite) and is the main component of pearls and the shells of marine organisms, snails, and eggs. Sodium bisulfite is a common reducing agent in the chemical industry, as it readily reacts with dissolved oxygen. It is usually added to large piping systems to prevent oxidative corrosion. In biochemical engineering applications, it is helpful to maintain anaerobic conditions within a reactor. 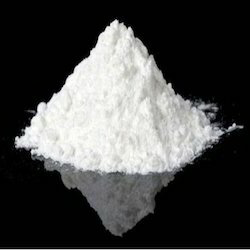 Sodium bisulfite should not be confused with sodium bisulfate which is used as a pH lowering chemical for swimming pools. In drinking water treatment, sodium bisulfite is often added after super chlorination, to reduce the residual chlorine before discharging to the service reservoir. In wastewater treatment, sodium bisulfite is often added following disinfection with chlorine prior to discharging the effluent to the receiving water. Residual chlorine can have a negative impact on aquatic life. 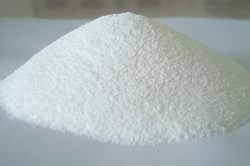 Sodium sulfite is primarily used in the pulp and paper industry. 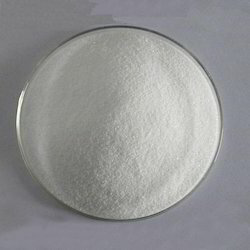 It is used in water treatment as an oxygen scavenger agent, to treat water being fed to steam boilers to avoid corrosion problems, in the photographic industry to protect developer solutions from oxidation and (as hypo clear solution) to wash fixer (sodium thiosulfate) from film and photo-paper emulsions, in the textile industry as a bleaching, desulfurizing and dechlorinating agent and in the leather trade for the sulfitization of tanning extracts. It is used in the purification of TNT for military use. It is used in chemical manufacturing as a sulfonation and sulfomethylation agent. 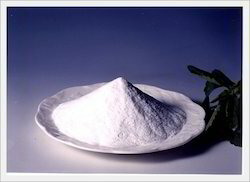 It is used in the production of sodium thiosulfate. 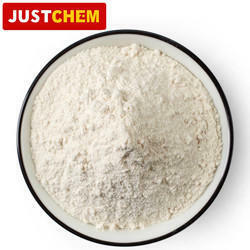 It is used in other applications, including froth flotation of ores, oil recovery, food preservatives, and making dyes. Dibenzoyl Peroxide is primarily used as a radical initiator to induce polymerisation (free radical polymerisation process), for the manufacture of e.g. expandible polystyrene in suspension, acrylics polymers (for road marking paints). 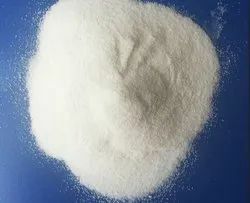 Dibenzoyl Peroxide can also be used in other applications, in production, as an oxidant in anti-acne formulation, as a hardener of unsaturated polyester resins, as a cross-linking agent for the production of and silicone rubbers, and as a bleaching agent. 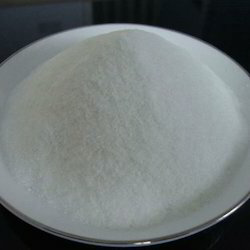 Sodium Alginate, completely soluble in water, is the sodium salt of Alginic acid derived from selected varieties of brown seaweed. Sodium Alginate's unique property is to form gels when combined with calcium ions without heating. This reaction is widely used throughout the industry to texturize and stabilize many food products. In the food industry, sodium alginate is used for gelling, thickening, stabilizing and film forming properties. 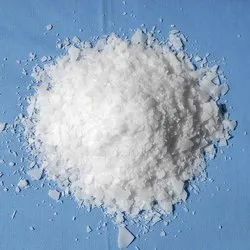 It is also widely used in textile industry to improve brigheness and strength yarns, in the printing and dyeing industry as a thickening agent, in paper industry, in dental Industry, in cosmetic Industry, in water Treatment and in medical industry.